This beautiful 0.20 t.c.w. 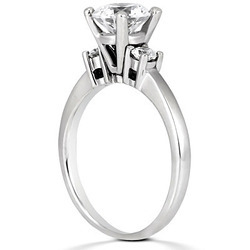 three stone diamond engagement ring features 2 round cut diamonds. 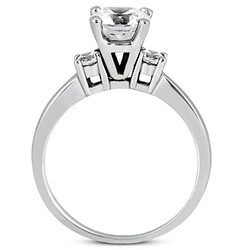 This prong set diamond engagement ring is available in white gold, yellow gold, platinum or palladium. 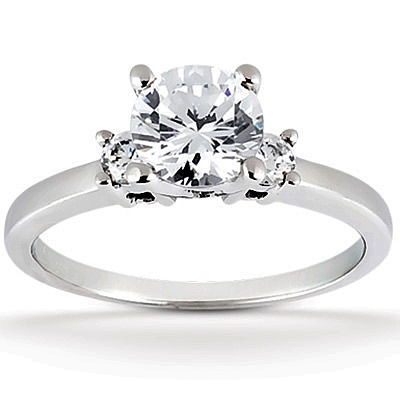 Carat Weight / Size (each): 0.10 ct. / 3.0 mm. 3-5 Business Days. Please Contact us if you need it sooner. 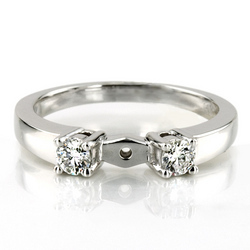 All diamonds are natural & untreated. * Precious Metal gram weights and gemstone carat weights are approximate. Availability and prices are subject to change without notice. The secure shopping on this site is verified by DigiCert and monitored daily by McAfeeSECURE for PCI compliance.